Amazon offers the Deluxe Wooden Edition with Rotating Game Board for around $100. It features a raised grid to hold that gold foil stamped wooden tiles. The board also includes integrated storage for all components for easy storage and transportation. Next up, also available on Amazon is the Scrabble Luxury Edition Board Game. This version features a tow-tone wooden cabinet with burled wood veneer. The top is a rotating faux-leather game board with a raised grid for easy tile placement. 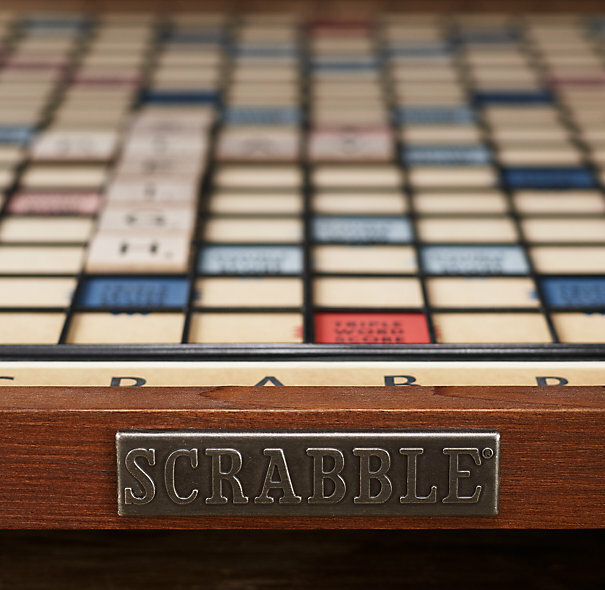 Restoration Hardware's Vintage Brobdingnagian board delivers big fun for Scrabble fans of any age. A full 50% larger than the standard Scrabble set and crafted to endure, it comes with extra large, embossed wood letter tiles (easy for older eyes to see and little hands to hold), metal tile racks and timer. The wood-framed Lazy-Susan board features a raised grid to keep tiles in place from turn to turn. 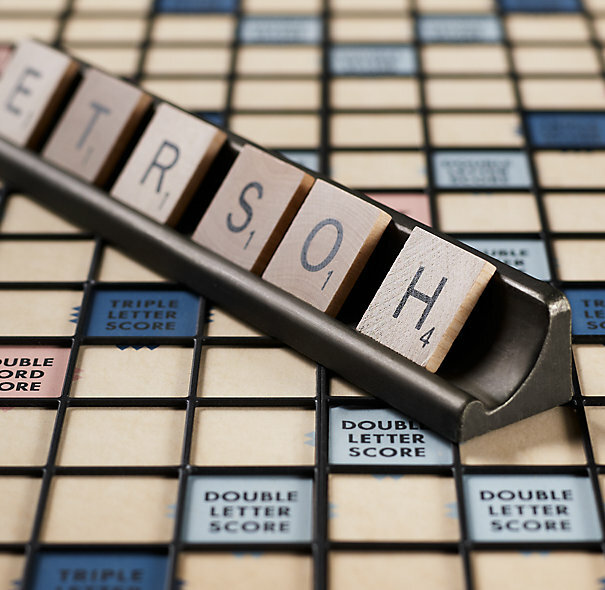 Luxury that goes way beyond words, every letter laid on this Scrabble set will feel like a triple-word score. Once again, Geoffrey Parker innovates with elegance that would translate to any language. This Dauphin-inlaid set features hand-bound scallop-sided plinth, both refined and regal. The board boasts silver or gold embossing under a nickel plated grid, so that syllables sparkle, whether you're throwing down "swank" or "sesquipedalian." Neatly stored beneath the board are four leather-bound letter racks, a felt drawstring bag, a booklet of rules, and the letters, made of buttery bridle-hide. The gameboard is revolutionary, mounted to a concealed Lazy Susan, allowing the playing surface to rotate freely with the tiles locked firmly into place. This gorgeous game is available in a variety of colors, all constructed from Geoffrey Parker's legendary selections of Dauphin calfskin.